Dr. Pradeep Singh Rajpurohit is a career diplomat who joined the Indian Foreign Service in 2004. Prior to assuming his charge in Baghdad in February 2017, he was heading the Political Section of the Indian Embassy in Berlin, Germany (2014-2017). Dr. Rajpurohit was posted as Third Secretary in the Indian Embassy in Cairo, Egypt between 2006-2008. He earned a Diploma in Arabic Language from the American University in Cairo. Thereafter, he served in the Indian Embassy in Abu Dhabi, United Arab Emirates where he headed the Political Section and General Administration of the Mission (2008-2011). 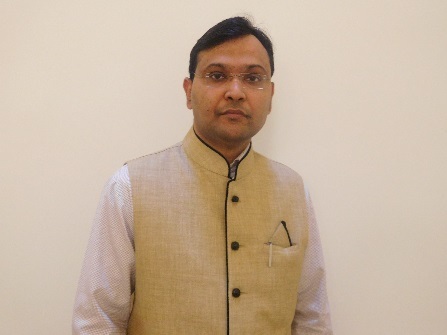 Dr. Rajpurohit served in the Ministry of External Affairs in New Delhi as Deputy Secretary dealing with Internal Finance and Budget Matters, including India’s development cooperation projects in developing countries (2012-2014). Dr. Rajpurohit is a Medical Graduate (MBBS) from Dr. S. N. Medical College, Jodhpur, India and has briefly worked in the health sector before joining the Indian Foreign Service. Dr. Rajpurohit is married to Mrs. Manju Rajpurohit and they have 2 daughters.